Birds are indeed one of the luckiest creatures on our planet. Why? Well, it’s too obvious because they are the ones endowed with the power of flying. 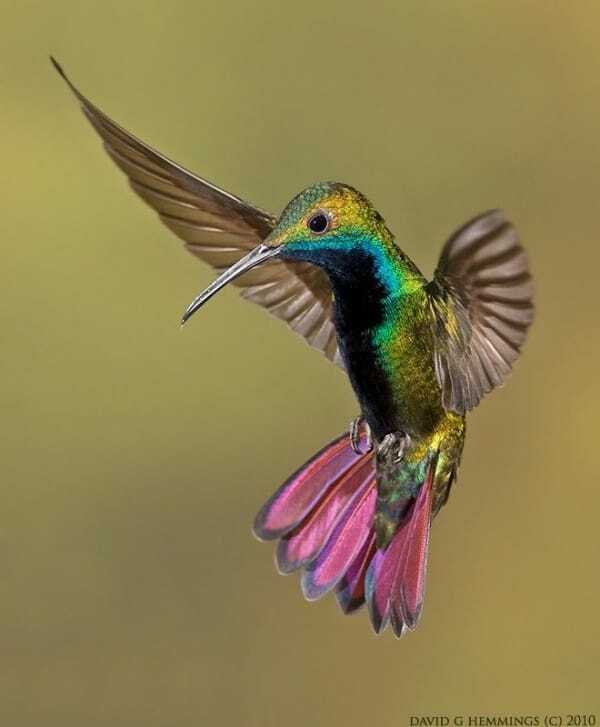 And out of all birds existing on Earth, there is one species that has been known as ‘flying jewels’. Yes, we are talking about hummingbirds! These small birds originally hail from the Americas and produce a humming sound while beating their wings, hence the name. 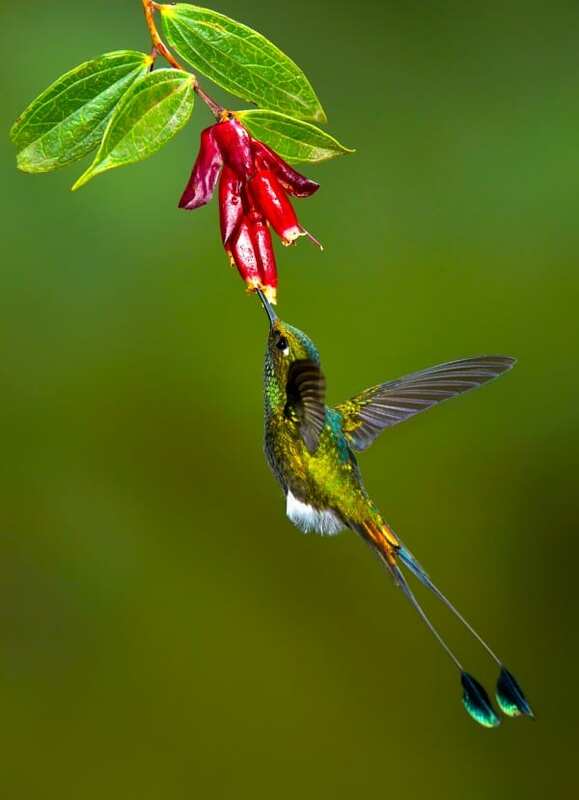 And here we will be sharing Strange Types of Hummingbirds Pictures to Know About. Strange because they are small and different. Do not get deceived by their size for their beauty will mesmerize you, and leave you all spellbound! Anna’s Hummingbird: This bird is characterized by the peculiar chirping sound it makes. But the lovely colors, which adorn this beauty, are something that makes them so strangely alluring. 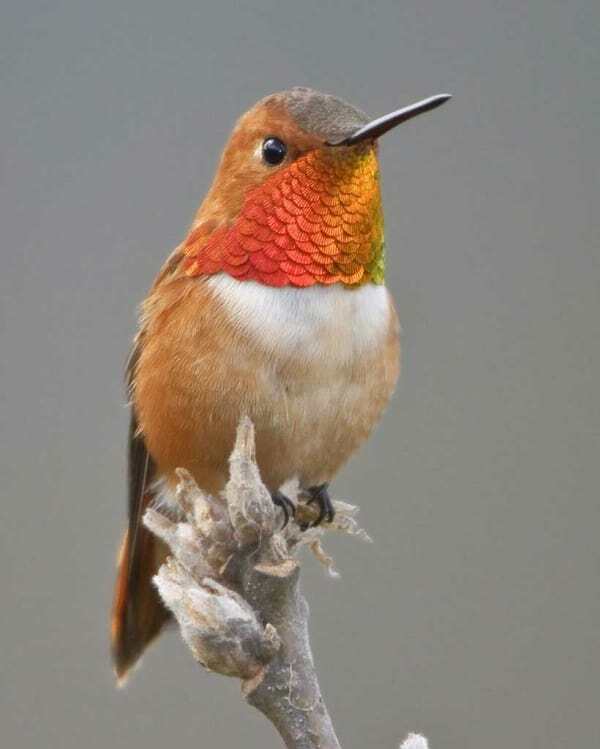 Rufous-Breasted Hummingbird: Just another one on our list of strange types of hummingbirds to know about is the Rufous-breasted hummingbird. Covered in the hues of brown and pale orange, this one is a very picky eater! Booted Racket-Tail Hummingbird: The males of this species are endowed with interesting tail feathers. These birds have racket-like flares that are covered with beautiful green colors. Also, it acts as a source of pollination for many native flowering plants. 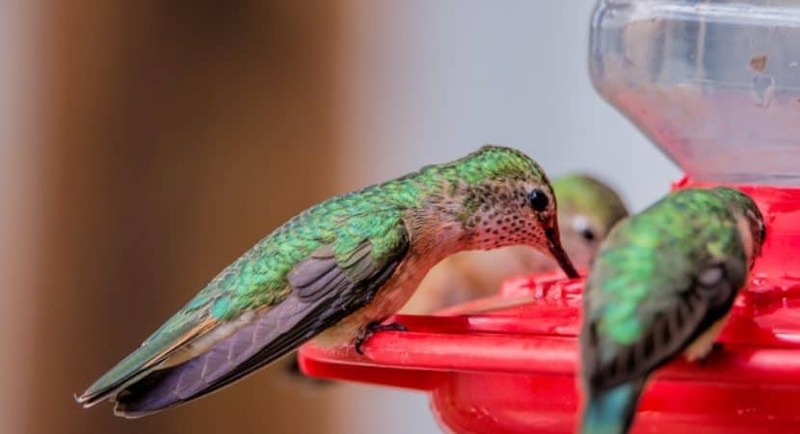 So if you have a big garden with lots of flowers and trees and so you can set some few plants who attract hummingbirds to your garden here are those few tricks which can help you out in this regard. 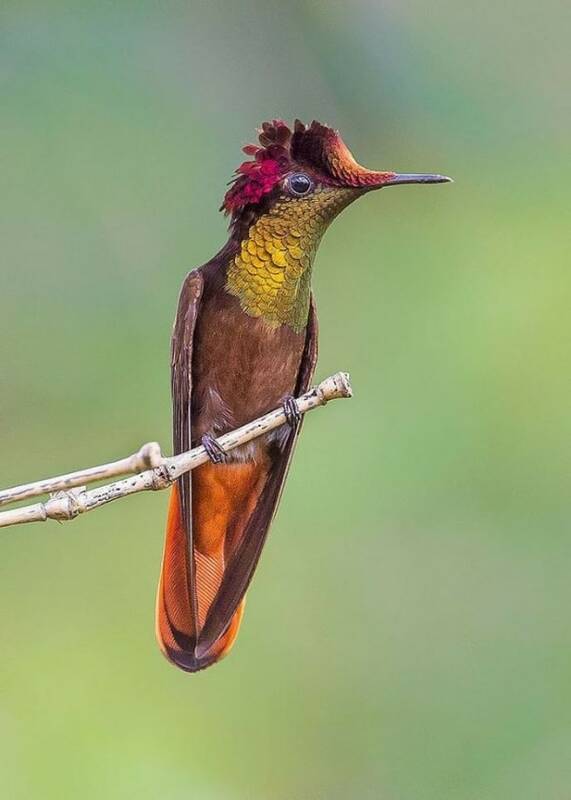 Ruby Topaz Hummingbird: The unique beauty of this bird makes it a part of the strange types of hummingbirds to know about. Small in size but rich in beauty, this bird comes in yellow, orange, and red color. 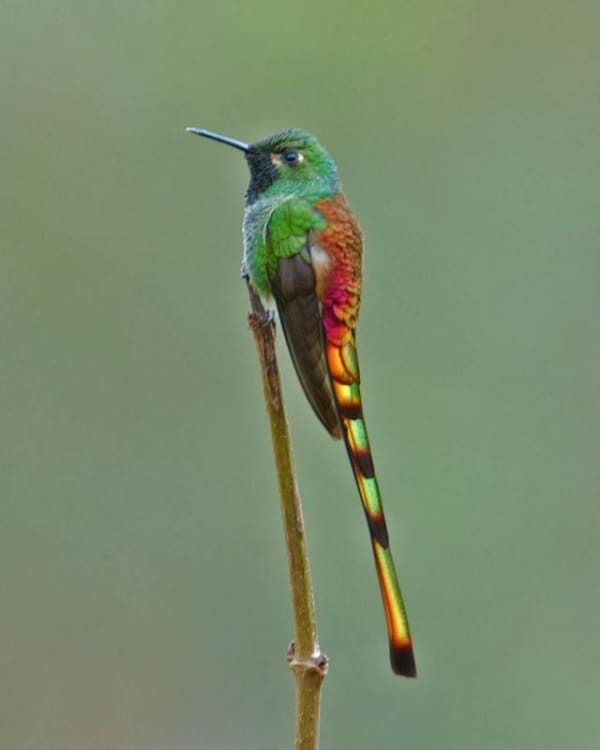 Rufous-Tailed Hummingbird: Drenched in the hues of green and yellow, this bird is defensive of its feeding territory. Of course, the Rufous-colored tail is the highlight of this bird. Nests are one of the most creatively made shelters in the animal world Different birds have different types of nests according to their need. 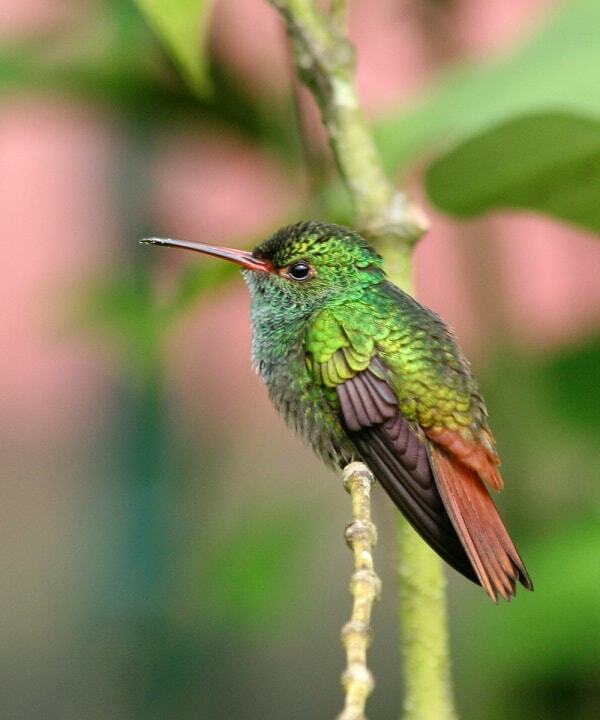 Green Hermit Hummingbird: One of the largest hummingbird species, the females have longer tails than males. Adorned with the tints of green and brown, this bird is definitely one of the strange types of hummingbirds to know about! Green-Crowned Brilliant Hummingbird: One of the larger hummingbird species, this emerald bird comes with a lovely crown that is enough to enchant you! Brilliant, isn’t it? Cinnamon Hummingbird: A usually colored bird, this one has long wings and color of cinnamon on the underside of its body. You’ll fall in love with this beauty with the light green and yellow colors on its upper body. 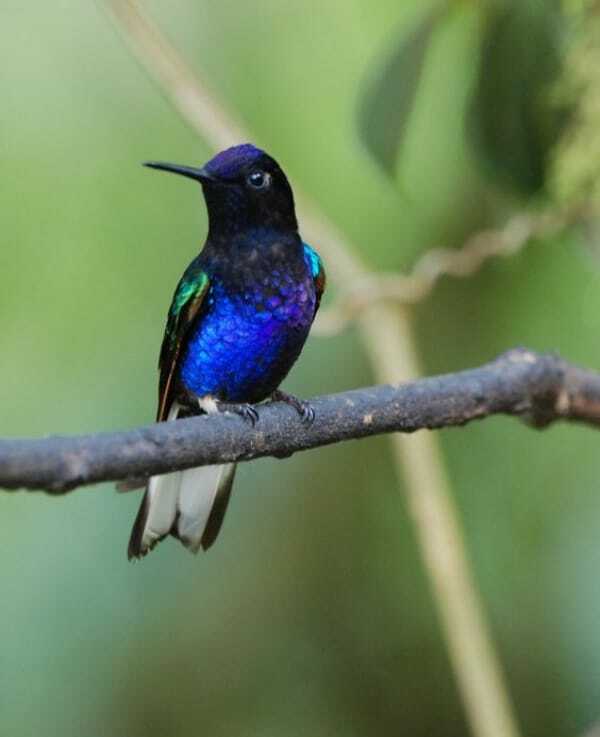 Ecuadorian Hillstar: Hailing from Ecuador, this hummingbird lives at high altitudes and prefers cold areas as its habitat. This beautiful creature is characterized by a bright bluish-purple head. Chestnut-Breasted Coronet: This little bird can bewitch you with its contrasting colors. You will fall in love with its bright green back and head, and Rufous-hued underbody. 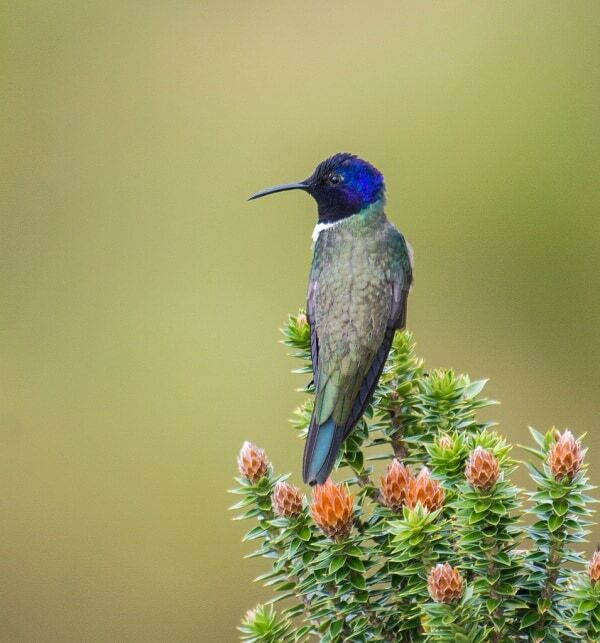 These birds can be spotted in the eastern parts of the Andes mountain range. 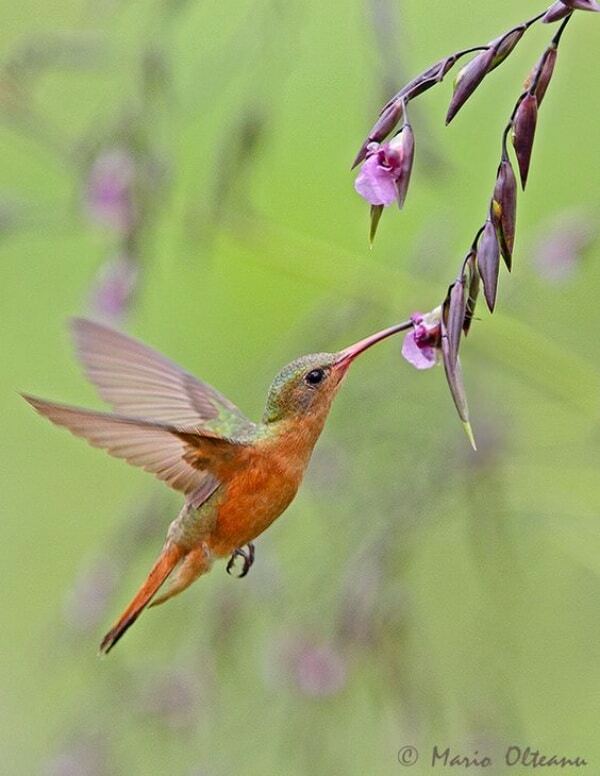 Brown Violetear Hummingbird: This bird is truly one of its kind! 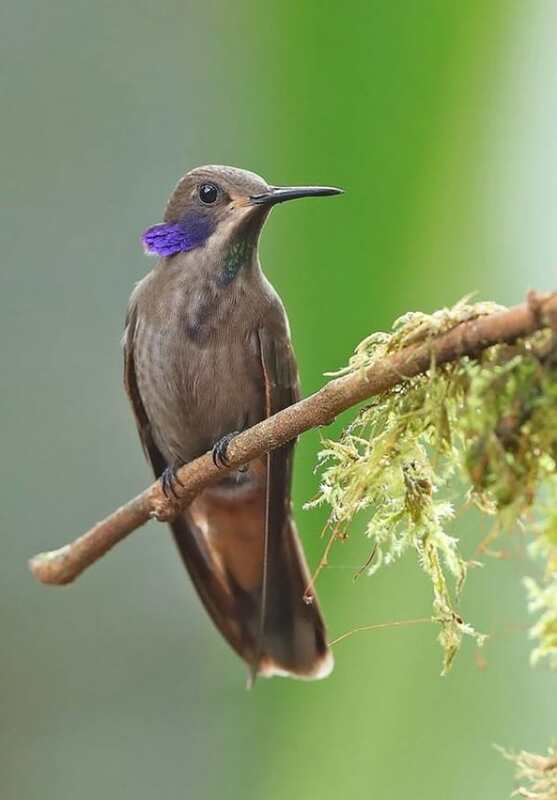 Unlike other birds on this list, brown Violetear hummingbird is all-brown in color, but under its throat lie some breathtaking colored feathers. And this tiny creature rightly flaunts its alluring purple feathers at several times. Sensational! 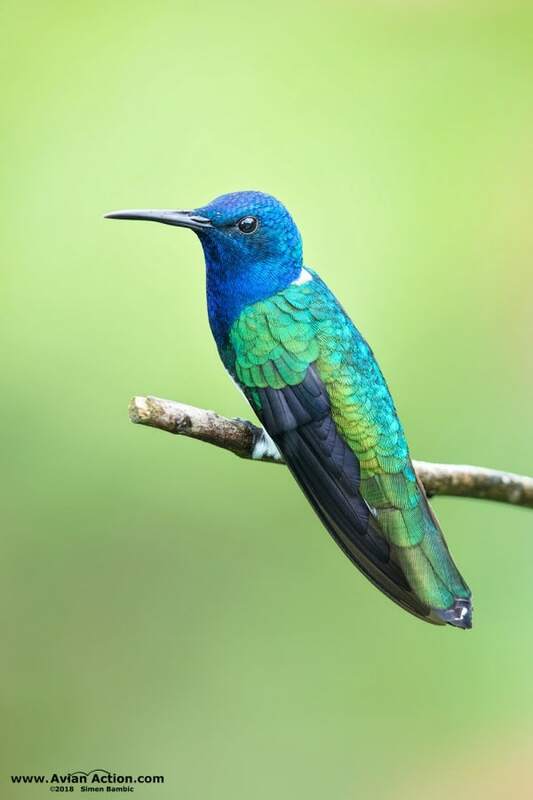 White-Necked Jacobin Hummingbird: This bird is beautifully adorned with the hues of blue, green, brown, and white. You can easily spot this hummingbird by its bright white belly. 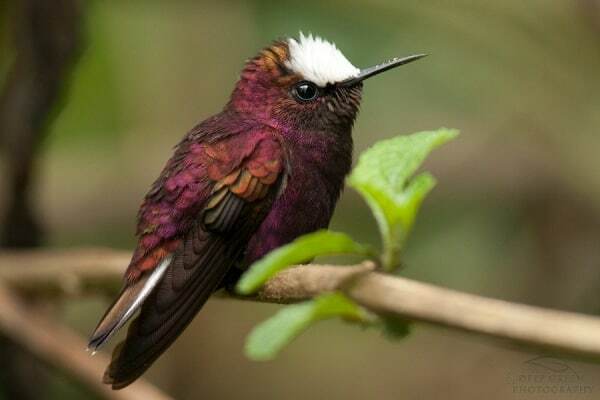 Snow-capped Hummingbird: Gilded with the eye-striking tints of crimson, this hummingbird can be spotted by its white head which appears like a snowcap. Enchanting, isn’t it? Velvet Purple Coronet: This one might trick you into appearing all black in the first place. But as you look a little closer, you’ll notice flashes of bright green, blue, and purple. Indeed, a flying jewel! 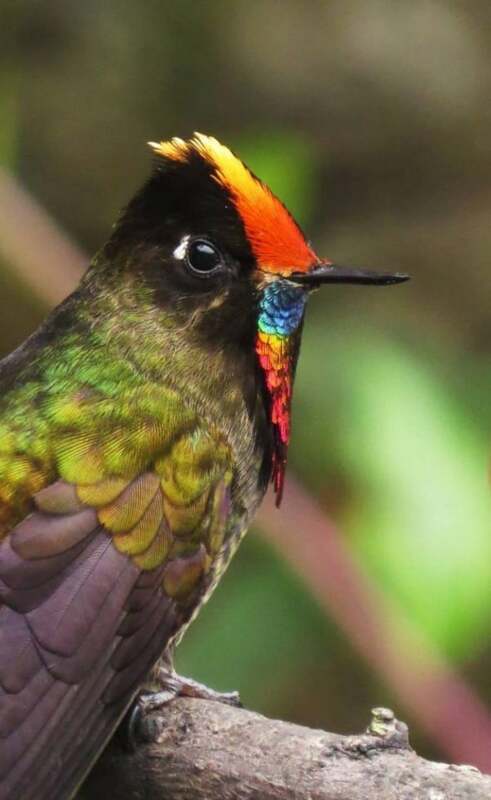 Rufous-Crested Coquette: These form the smallest species of hummingbirds on our planet. 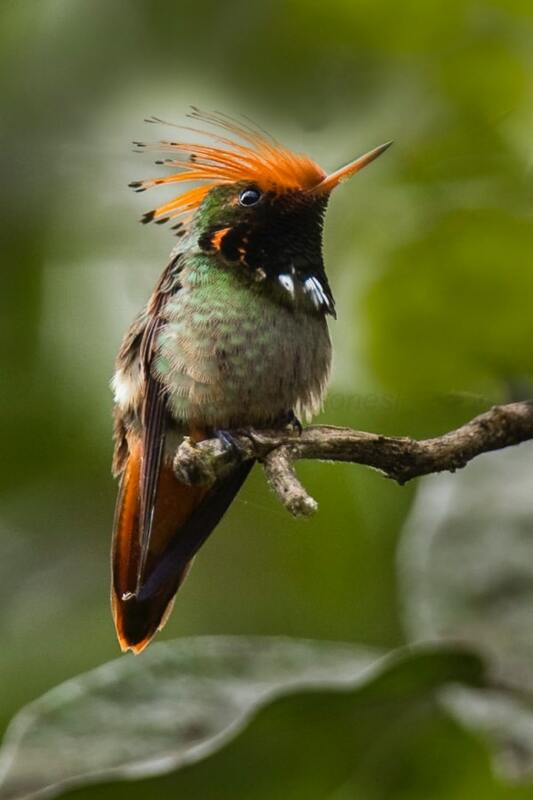 Rufous-crested Coquette is only a little more than 2.5 inches and comes in striking hues of green along with an orange head. The weight of this bird is under 3 grams only. Amazing, isn’t it? 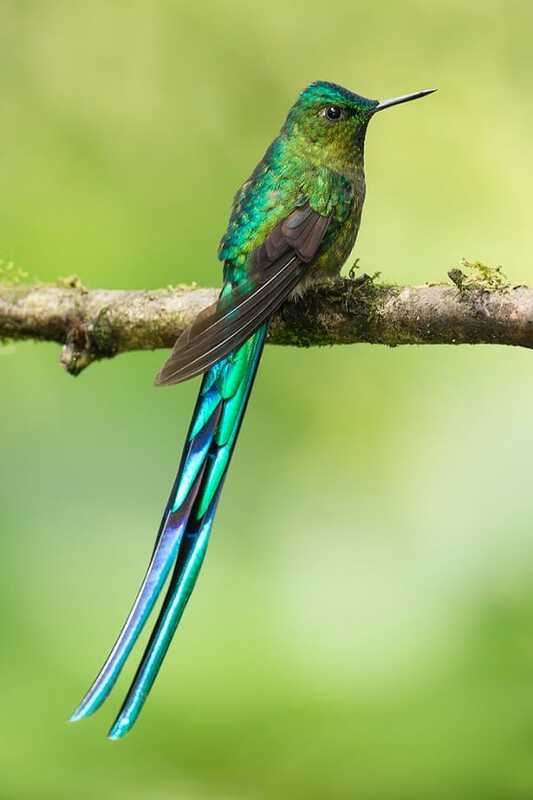 Long-Tailed Sylph: Yet another bird on our list whose males are endowed with amazingly long tails! In fact, the tail is so long that sometimes it hampers their flight. No wonder these rightly deserve to be a part of strange types of hummingbirds to know about! if we also had two wings like them, we can easily fly from one place to another within a short time. Keeping in mind about the fascination, here we have brought up a collection of the fantastic pictures of flying birds. 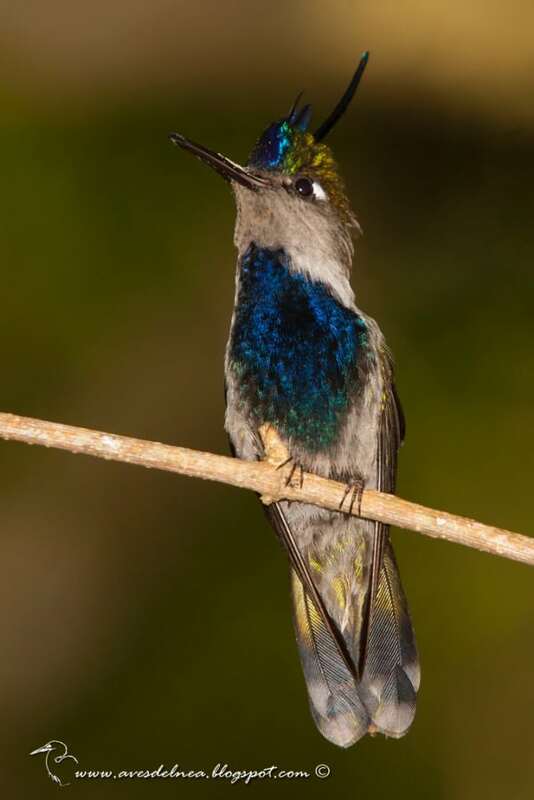 The Plovercrest: This hummingbird makes our list even more interesting! You will get beguiled with its white-flanked blue chest mingled in green and white colors of its body. A long feather on its crest makes it appear like a royalty! 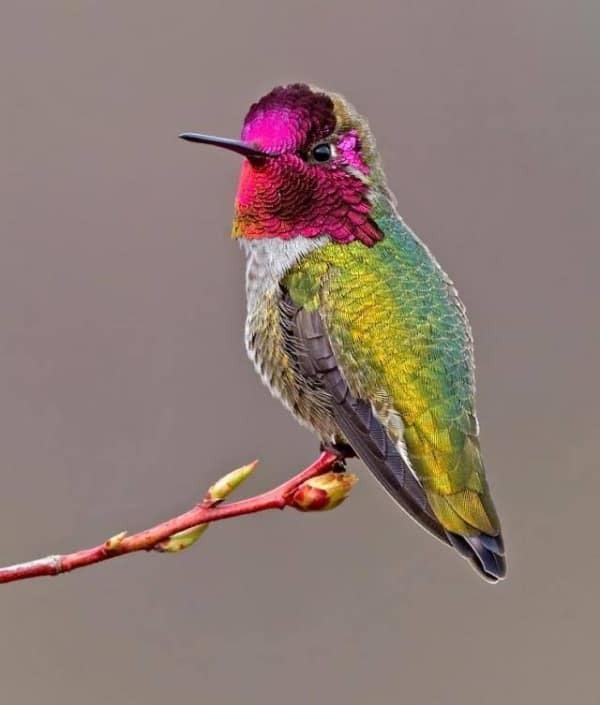 Definitely, one of the most beautiful hummingbirds you must see! 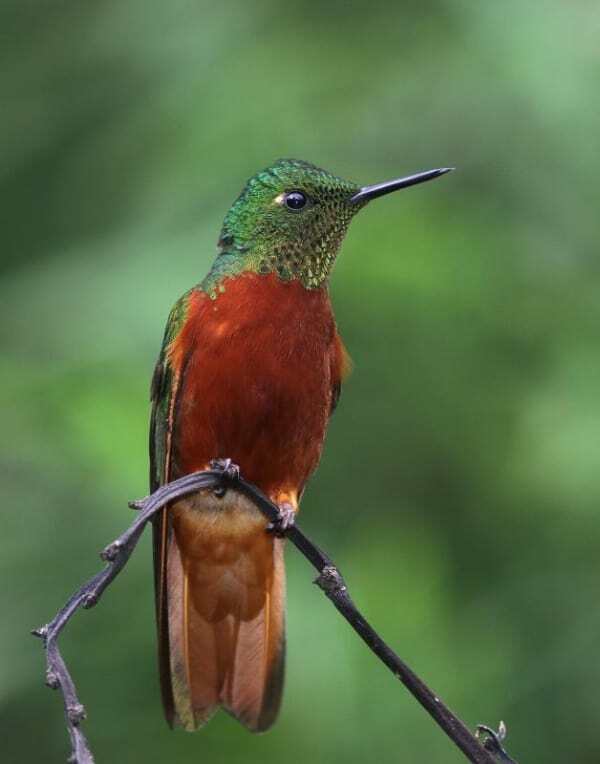 Red-Tailed Comet: As the name suggests, this hummingbird has a beautiful long golden-red tail and red rump. Since it has a flashy tail, it began to be called as the ‘comet’ in the Andean lands. Rainbow-Bearded Thornbill: Again, the name says it all! Nature has adorned this little bird with an extraordinary beard made of colors like bright orange, yellow, green, and blue.Birds are always free to fly anywhere they want to and every bird have different flying speed and some comes under the category of fastest flying birds in the world. 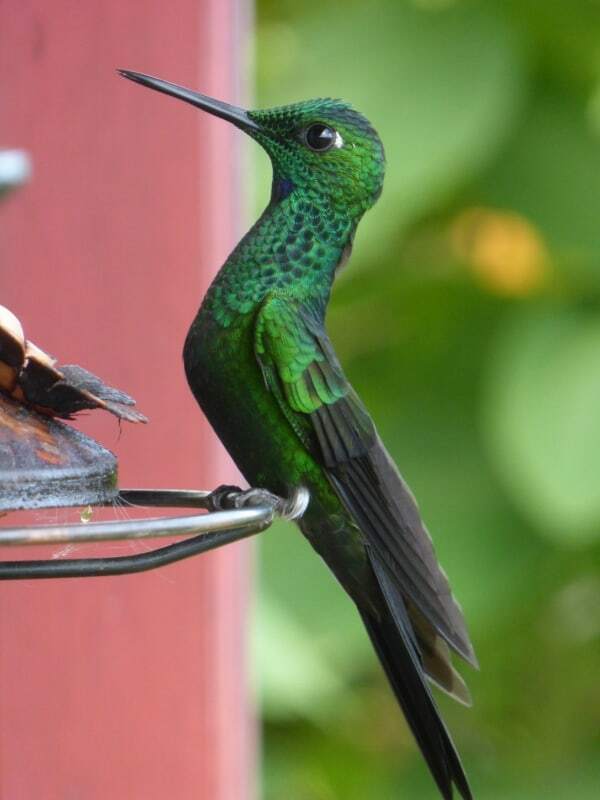 Green-Throated Mango Hummingbird: Found in beautiful colors like blue, green, yellow, and red, this hummingbird is characterized by its unique green throat, though not much is known about this species. 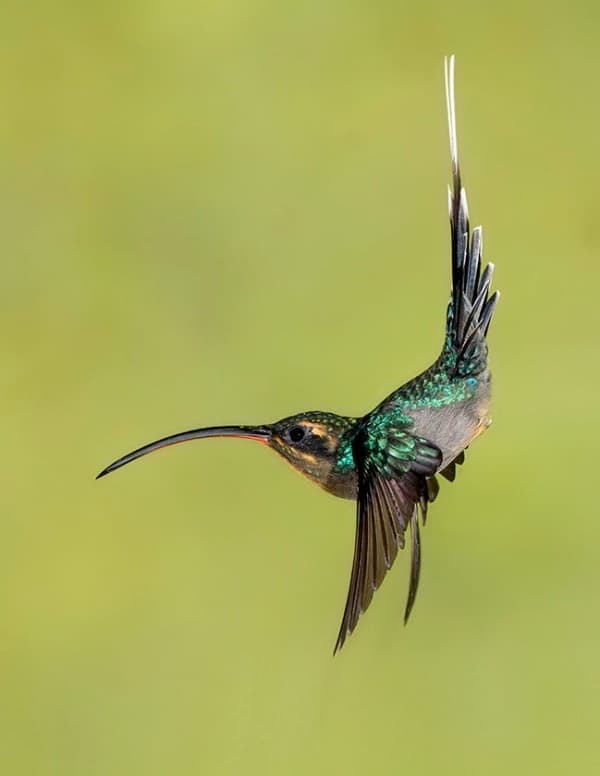 Hence, it remains one of the strange types of hummingbirds to know about. 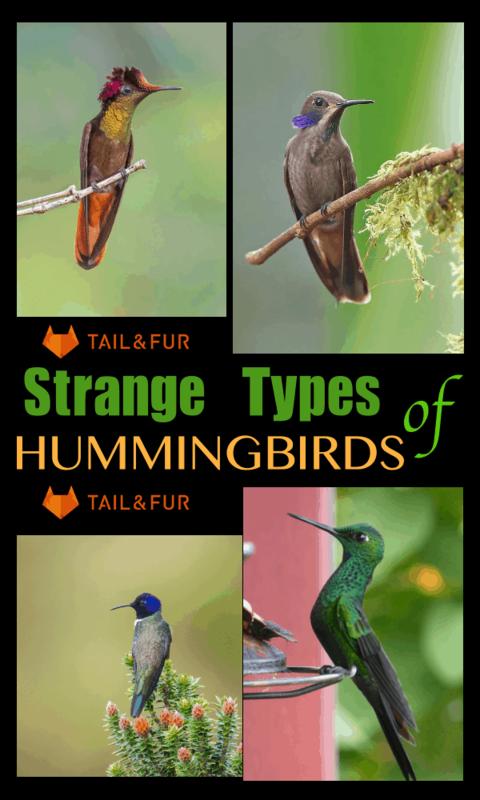 Enjoyed reading about these Strange Types of Hummingbirds to Know About? Well, these birds might be small in size, but their beauty is something that leaves a deeper impact on your mind. So, whenever you get a chance, do not forget to spot these lovely creatures!